Setting a new standard of excellence for Winnipeg. 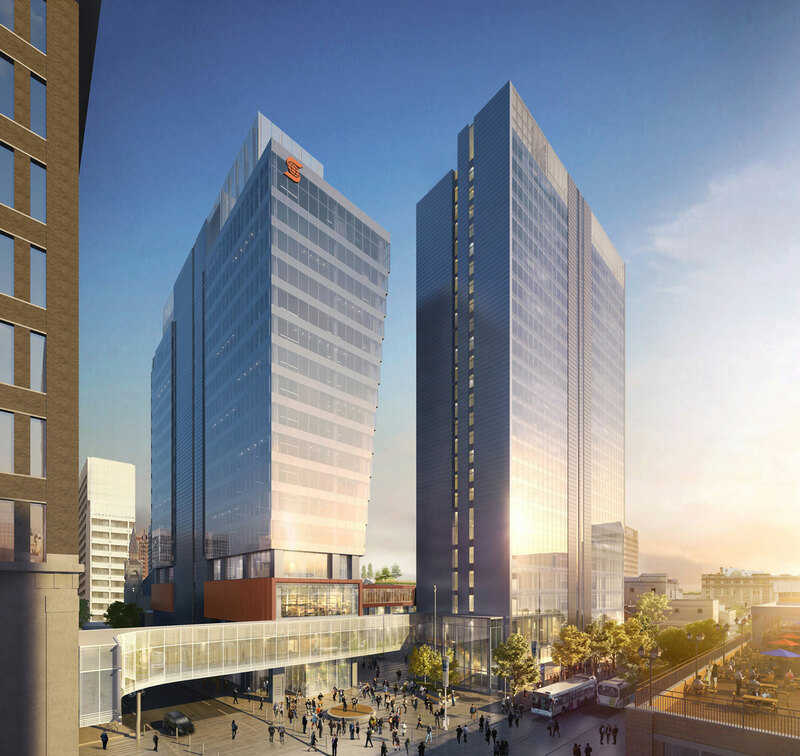 Transformative to Winnipeg and in the most strategic downtown location, when complete, True North Square will feature four towers spanning over one million square feet of Class A office, residential, retail, hotel and public space. The first tower, 242 Hargrave Street, opened in June 2018 as a 17 storey Class A office and retail building. It is the first privately-developed office building in Winnipeg in three decades. 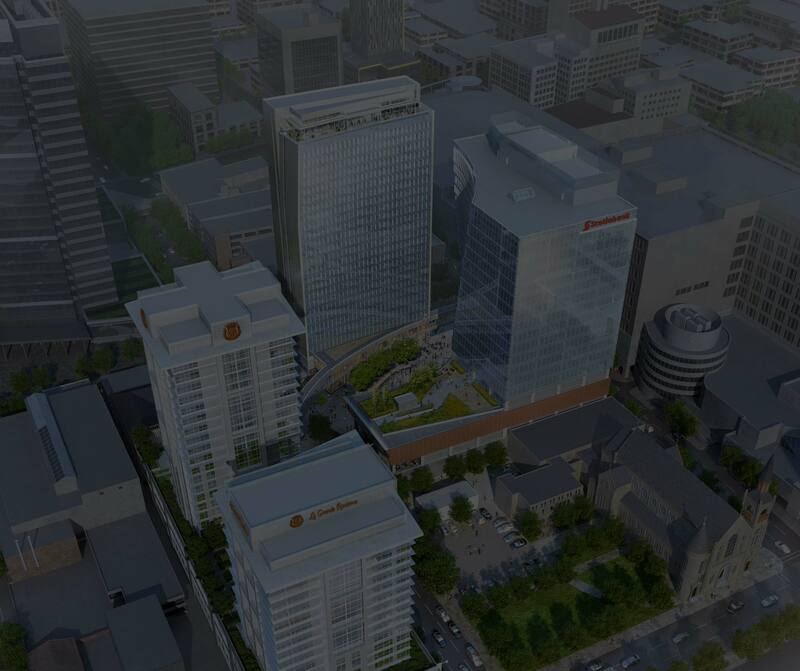 It will be joined by the second tower, 225 Carlton Street, in spring 2019, which will be a 25 storey residential rental building with complementary office and retail spaces. With a combined suite count of 418 units, the full-service hotel and residences will be built on the site located at the northwest corner of Carlton Street and St. Mary Avenue. Once construction commences, development is intended to reach completion in 2021. 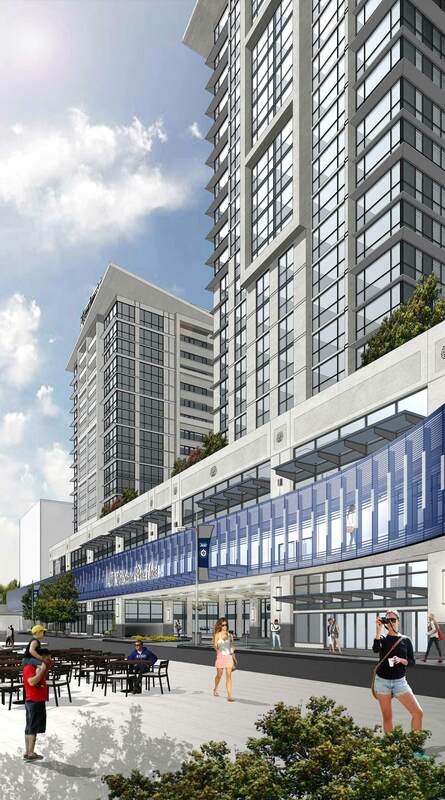 The two towers will complete the cutting-edge vision for True North Square that includes a full-service Sutton Place Hotel, a residential condominium tower, retail shops and services, heated underground parking, and direct access to public rapid transit transportation and the skywalk system.